Get healthy, beautiful skin with apple cider vinegar. 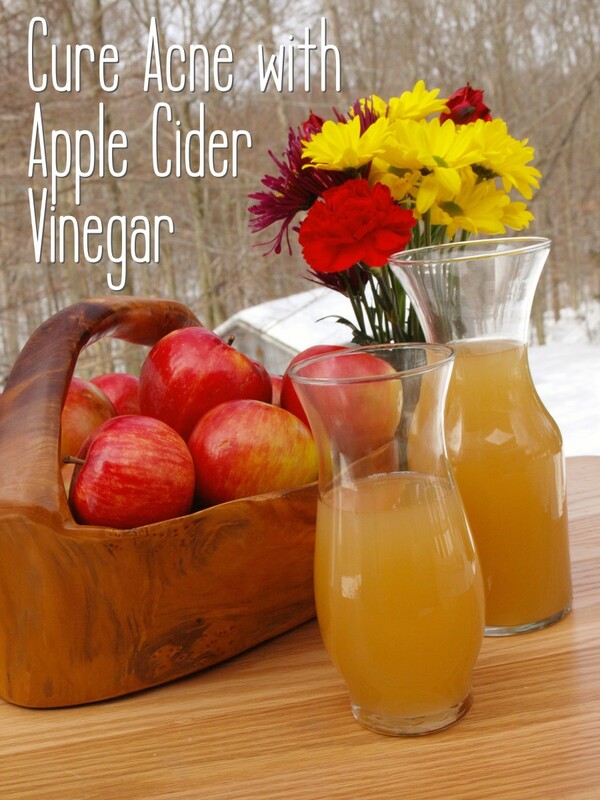 Apple cider vinegar, or ACV, is a natural remedy, and does not contain harsh chemicals. It is a tried and preferred method of skincare used over many centuries. Protecting us from harmful elements of the environment. Receiving and conveying information from external stimuli. 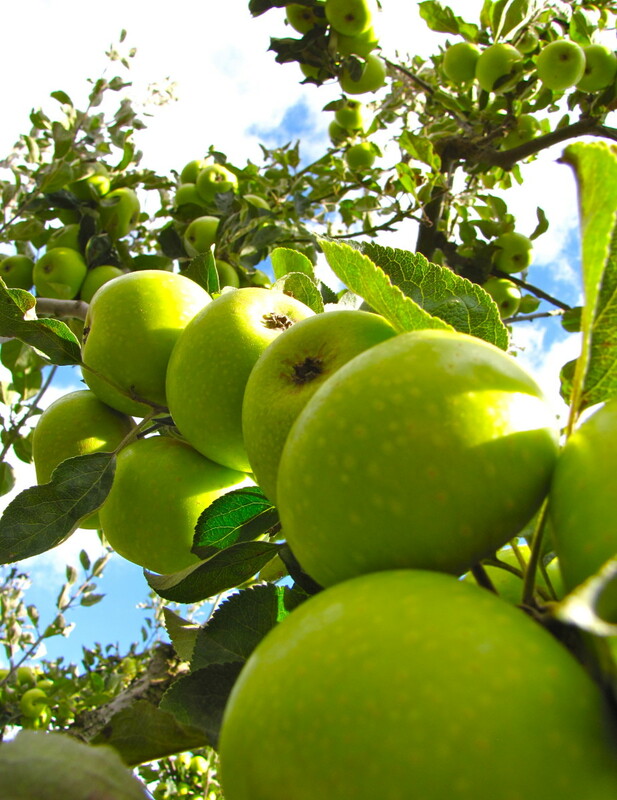 The ancient Greek physician and father of medicine, Hippocrates used apple cider vinegar as an elixir. Apple cider vinegar is a remarkably effective treatment for acne and pimples. It’s a natural therapy with no side effects. Apple cider vinegar offers skin protection in many ways. It unclogs pores, preventing breakouts and allowing the skin to breathe properly. It helps in creating a protective layer on our skin, and helps in preventing our skin from becoming too dry. Our skin has a protective outer-layer, known as the protective acid mantle. This mantle makes our skin slightly acidic, giving it a pH factor of between 4.5 and 6. (pH factor is an indicator of acidity level. Anything between 0 and 6 is acidic.) This acid mantle protects our skin from pollution, free radicals, and other harmful particles in the air. On his voyage to the New World, Christopher Columbus brought apple cider vinegar with him to treat scurvy. 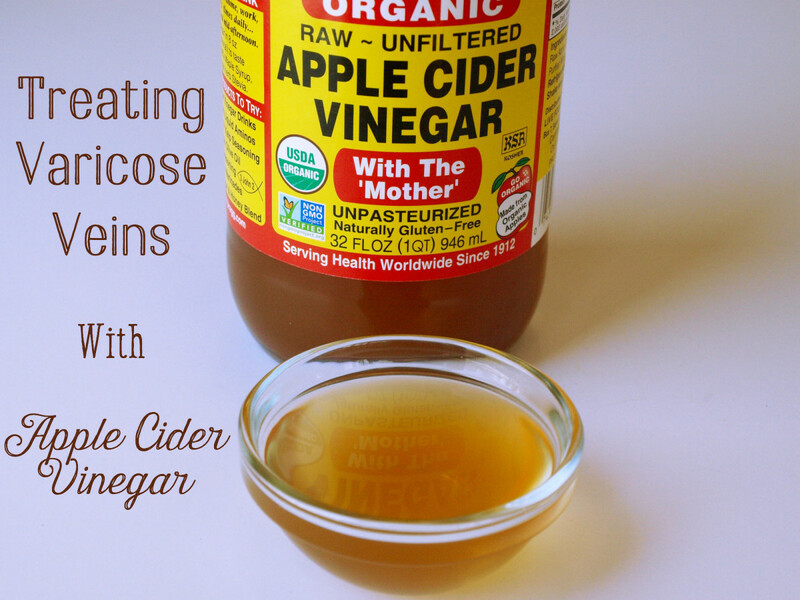 How Does Apple Cider Vinegar Treat Acne? Beta Carotene. ACV has high levels of beta-carotene, which counteracts damage caused by free radicals, giving us healthy skin and a youthful complexion. Anti-bacterial properties. Apple cider vinegar has antiseptic and antibacterial properties which help protect our skin from pollution and harmful bacteria. pH balance. 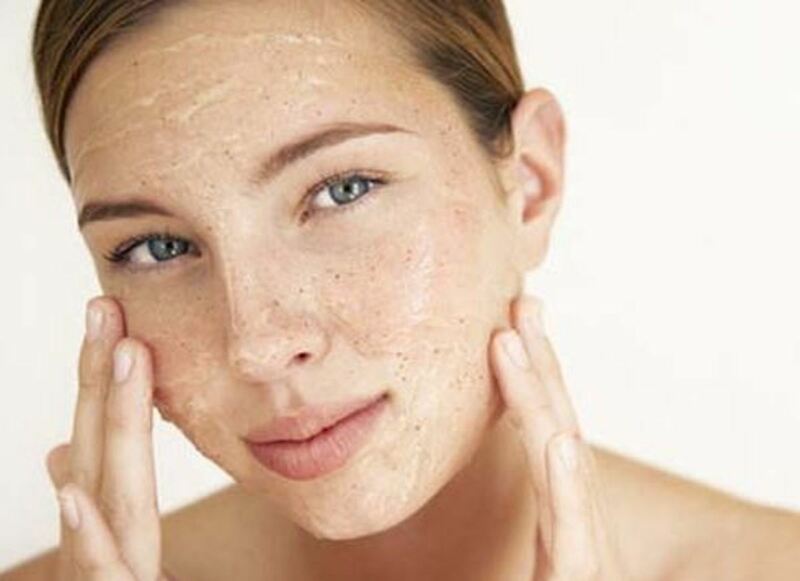 The most important benefit of apple cider vinegar for skincare is its ability to restore the balance of our pH factor. Apple cider vinegar has a pH factor of about 4.5 to 5.5, which is close to the ideal pH factor for skin too. 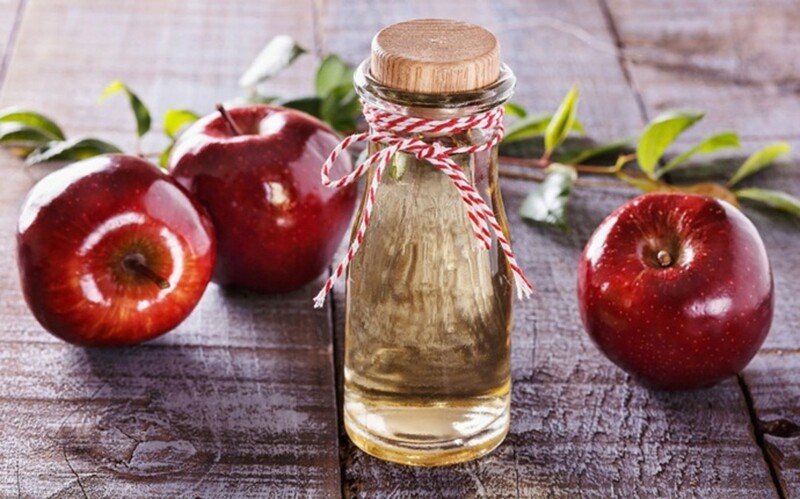 Apple cider vinegar toner is very good for skin and is also very effective in treating skin problems like acne, pimples and other skin-related ailments. However, read these tips before using apple cider vinegar for skincare. Use it at night. Some people may find the smell too strong. In fact, one could say that it smells like sweaty socks that have been left under the bed for two weeks. Just like you wouldn't eat raw onion or garlic before a date, you wouldn't wear apple cider vinegar on your face before stepping out. If you can't stand the smell, simply use it at night. Watch out for skin irritation. While apple cider vinegar typically has no side effects, it may cause skin irritation in some cases. If you have extra-sensitive skin, apple cider vinegar may not be suitable for you. However, before giving up completely, try add more water to the mixture to dilute it. Alternatively, reduce the frequency with which you use the ACV wash. You may also find that the irritation subsides after a while. Watch out for “purging.” In very rare situations, some people may experience purging. Purging happens when ACV opens up blockages, causing your skin to push out impurities. As a result, existing pimples may get more inflamed before getting better. If purging happens you may want to stop using apple cider vinegar on your skin. Try it out first. Always use it on a small part of skin, and see how it reacts. Use generously diluted ACV first and get feedback. Use sunscreen. Apple cider vinegar can increase your skin’s sensitivity to ultra-violet rays. If you know you will be going out in the sun after applying apple cider vinegar, please use a good sunscreen lotion, so as to avoid any harmful effect of UV rays. In fact, this is another reason why you should use the face wash at night rather than during the day. 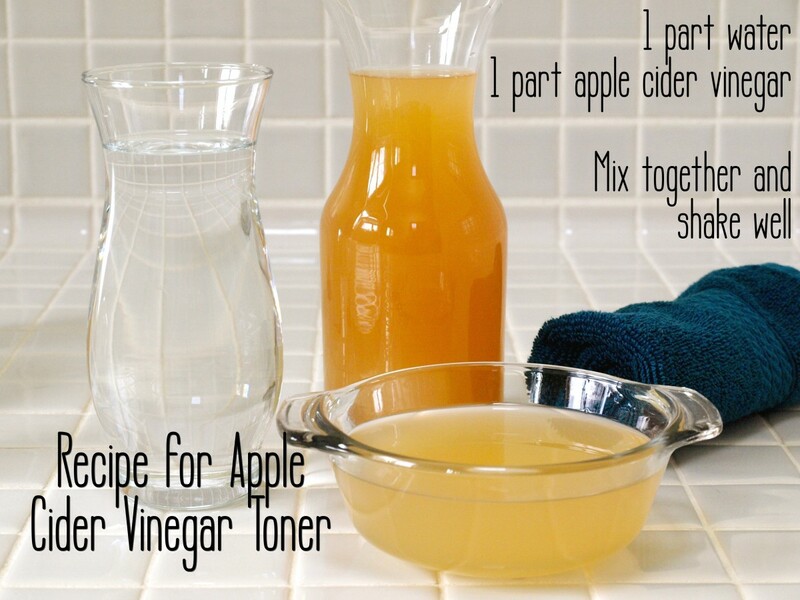 It's easy to make ACV toner at home. Mix one part water to one part apple cider vinegar. Before using, shake well so that the "mother" of vinegar – the cloudy sediment at the bottom of the bottle – gets mixed in. Using apple cider vinegar toner as a face wash is very easy: Take a cotton ball/pad, put some toner on it and gently dab the toner on your skin. Be sure to stay away from your eyes. Start Slow. Begin by using the wash just once a day and preferably at night so that you don't have to worry about the smell. Once you are sure that your skin won’t respond adversely, you can increase the frequency to twice a day. Start small. When using the toner for the first time, try it first on a small patch of skin to see if it causes any irritation. Wash it off. When applying the toner for the first time, you may want to wash it off after 5 minutes to minimize your exposure to any irritants. Once you know that you have a tolerant skin, you can leave it on. Those hard-to-reach-places. For difficult-to-reach areas like your back, try using a spray bottle instead of the cotton balls. Play with the mixture. Start by using a diluted mixture of one part water to one part ACV. If your skin becomes irritated, feel free to add more water. If your skin responds well to the toner, you can even reduce the quantity of water. Some people mix 2 part ACV with one part water. See what works. I highly recommend that you experiment with your ACV toner to get a feel for what works with your skin type. Don’t leave out the water. Never apply undiluted apple cider vinegar to your skin. It is highly acidic and can damage your skin at too high a concentration. Watch the eyes. Keep apple cider vinegar away from eyes and the area around eyes. It may cause a very painful burning sensation if you do get it in your eyes. If that happens, you should rinse your eyes with water or eye drops. Mix and match! If you like, you can even add other useful ingredients to your ACV toner, like green tea, aloe vera gel, or witch hazel. What Kind of ACV Should I Buy? Only unpasteurized and unfiltered ACV contains the "mother" of vinegar: the muddy, grainy substance that sits at the bottom of the bottle. This substance contains the beneficial enzymes and bacteria and is where all the skincare benefits of apple cider vinegar lie.There are many brands to choose from, so you should find one that's easily available in your area. 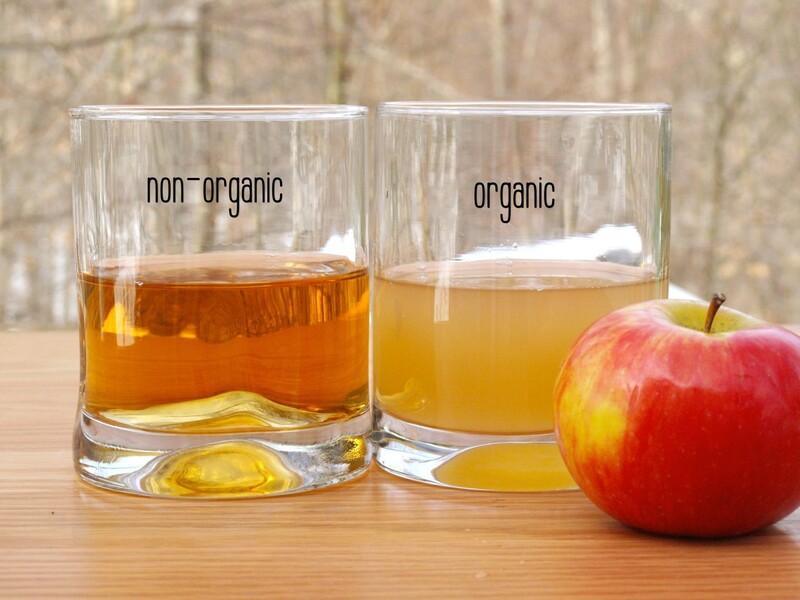 The bottom line is that it should be made from organic apples and should contain the mother of vinegar. I am a big fan of using apple cider vinegar for weight loss, for healthy hair and for glowing skin. I use it before going to bed, after removing my makeup and washing my face. I really like it because afterwards, I feel fresh and clean, though the smell puts off my partner if I don't wash it off with water after a few minutes. I have also found apple cider vinegar effective in treating acne, though it takes a long time to remove existing acne. It is not an overnight remedy and I use it mostly to prevent future breakouts rather than to treat existing ones. This well-researched article answers questions about apple cider vinegar - How often to drink ACV? When to drink? What can I mix it with? Will I lose weight fast if I drank more cider vinegar? What do you use for acne, pimples and skincare? I love apple cider vinegar for blemishes. It works a treat, although I do dilute it slightly. You could also drink apple cider vinegar. You need to dilute it with water and it will still taste horrible, but I've heard that there are numerous benefits from doing this. Hi Rabiyajabbar, if it says "unpasteurized, unfiltered", then it should be OK, though I don't know more about Clover Valley brand. I bought clover valley ballet 100%pure apple cider vinegar for my acne. Will this work? Can i use apple cider vinegar of brand American kitchen on my skin? Wow, very detailed and informative article. I did not know ACV could be used for breakouts. It's good for so many things though, so I'm not surprised. I've known about the many health benefits of ACV for some time and have some in my own house. However, this reminds me to use it more regularly. Thanks and God Bless! can it be drink ? HI Fenzy, please apply ACV after washing out they dye from the hair. Then wash your hair again, and dye them again. I know it's a long process, but I can't think of a better way. Hi there, I was quite interested using ACV into my hair to prevent tangled hair. My query is that is it also applicable for dyed hair? is there any effects on my hair? Yesss Apple very good for skin..thanks for informasion. What a very informative and interesting article. Well done! Thanks for sharing. I would love to try it and pass this too to my teenage nieces. I love this article. It provides the information that I was looking for. I have used it mostly as a toner but I will try more ways. Thanks! This is incredibly helpful. Apple cider vinegar is very effective for treating warts, pimples, acne and other skin problems. I am agree with this article. But I have a question. Can Apple Cider Vinegar Stop Hair Loss and is effective in treating dandruff? A really great informative hub. I love natural remedies and try to use them as best as I could. Thanks for the tips and will definitely try out apple cider vinegar. Yes Nik, while the preference is for organic, even non-organic will do as long as it contains the "mother" of vinegar, that is, it should be unpasteurized and unfiltered. I try to use natural remedies when possible. Thank you for sharing this information. Interesting idea for skin care... I will have to try this as I'm always looking for natural ideas. non-organic vinegar can be used...?? Hi 101Ways2Life. A first class and most informative hub. Really well presented and full of interesting presentation. Well done. Hi Happylovejoy, I am not aware of apple cider vinegar's usefulness in curing the meat growth on skin. Hi Jacky, am not too sure whether ACV can cure dark spots caused by bleaching cream. Interesting article..will try using apple cider vinegar...thanks for the tips..
Cider vinegar has long been a substance for health care. Before Pharma stepped into the picture, natural remedies were the only kind people used. I personally wish the world would return back to these natural cure. I commend you for your natural cure for skin problems. Thanks for sharing! I wonder if ACV helps with skin tags or just a 'meat' growth (like a skin tag but bigger and non cancerous as confirmed by my doc) on the skin..
Homemade remedy is still the best, thanks for sharing, didn't know vinegar works like a miracle. I have dark spots in my face due to bleaching cream. Can i use ACV to cure ang vanish this dark spots or what they call melasma? This is jam packed with information that I didn't know before! Hi Emjay, you could rinse ACV off after leaving it on the skin for half an hour. I started using this a week ago to remove my breakouts. Im using 1:2 ratio. I notice some zits coming out. But im still continuing using it coz im positive to it. The only problem now I have is the kid im taking care of. She always complains of the smell. I cant find any lavender oil in here... Wat should I do now! This is great! I have to try it . Very informative and interesting. Thanks for sharing. Did not know this before. does the product got a side effect on one as a result of its continuous usage. I've read many articles on Apple cider vinegar. This one is a great one! I love all the benefits that this vinegar has. Great article! Thanks for the video it was very helpful! Hw lng it wud tke fa d results..!! great piece, you did a nice work and the pictures are excellence. Hi RDas, you do get Braggs organic unpasteurized ACV in many parts of India. Do look around. It is also available for order on Amanzon India website. I suspect that the American Garden brand you have is filtered, and does not contain the "mother" of vinegar. While it will not harm your skin, the health benefits of ACV are derived from the "mother". may i know what facial wash do you use in partner with the apple cider vinegar toner? Yes, Keni. You could leave it on the skin while sleeping. However, test it for half an hour to see whether your skin can tolerate it. Is it ok to leave it on skin while sleeping? Hi, the method to use ACV as toner is given in the article. Hi Kenneth, thanks for the question. You could use any cream that suits your skin. Great hub on ACV. I'm going to give it a try this fall and let it works its magic for those many health benefits. hi i was wondering if you have any suggestions on anything natural for the face for moisturizing, ive been using baby oil for now , it has vitamin e in it. i definitely want to try the acv toner. very informative video. thanks . HI MM, yes, the skin can be treated with normal skincare products after washing it with ACV. after washing my face/body with ACV can i apply lotion o body butter afterwards. I Franca, I don't see a problem with that, but this is not a medical advice. I have to say, i had been suffering from adult acne on my forehead and round my chin for some time now and nothing i used seem to work. i started doing exactly this in the article, i mixed 1 part water with one part apple cider vinegar and use it as a toner every night and morning, the acne has completely cleared up and my skin has become even better than before, it has become so much more youthful too!! i will continue to use it as it has become part of my skin care routine now. My only advice is to keep at it as you will not see a difference overnight, but it is totally worth it. Hi Kiran, I don't think moles could be removed with apple cider vinegar. wow ! this is very useful, thanks for share this article. ACV itself may not cause dry skin. Apply ACV on face as directed in the article, and rinse it off after half an hour. Follow it up with a good moisturizer. Hi Urmila, if your skin can bear it, it's OK.
Hii... I am using Bragg's ACV. I mixed equal quantity of water and ACV. using daily at night and i keep it for the whole of the night. but i am getting dead skin on my face. should i add more water OR i should leave the idea that i can use ACV on my face.? What American garden 'a acv? Is it good?? Thank you so much for this! I can't wait to try this out on my own acne. GREAT article. Thank you so much for that! Love this hub lots of great information! Hi Lina, just make sure the label says it is unpasteurized and unfiltered. This was a really good read. I had no idea that apple cider vinegar had some many uses. I think I will share some of the tips in this article to my little sister who has really bad acne. Hi,i just want to ask if its ok if i use natural apple cider vinegar.i can't find organic or unfiltered. The label is natural apple cider vinegar.is it the same as organic acv?can i use it for my pimples? i have allergy in my skin,anytime i eat something , feels so itchy and i suffer for 4years already, can i apply this on my skin? Very nice hub. We have been using ACV for years and can totally agree with all of the information provided. Such a great product for the skin. Thank you for a wonderful read! Great article. Thanks for sharing this. My wife makes me a 8oz. glass of watter w/ 2 table spoons of the Bragg's Apple cider vinegar everyday. I make it once a month. How often do you make the 1:1 solution? Every day? Or use it until it's gone? I will definitely be trying this as I have tried lemon juice in the past and nautural is always better! :) Thank you for the hub! I have been having a hard time with my blood sugar, so I think I will try Organic Apple Cider Vinegar. Thank you so much. I am so going to use this .Thanks for this post. Yes Williiam, you could leave ACV on overnight. But first test it on a small patch of skin to make sure that your skin is not overly sensitive. You could dilute it with water in 1:1 ratio. Hi, I am dermatology but my patient is curious about applying ACV my question is CAN I APPLY ACV OVERNIGHT? how many water will I dilute? Hi Jasmine, please apply milk cream, or moisturizer. It should heal. If not, please consult a dermatologist. Hi guys I used undiluted vinager and it cause some skin damage I did not read this article before doing this does anyone know to cure the skin damage ? Hi Eronates, thank you for sharing your good experience with apple cider vinegar, and for your blessings for this article. I hope more and more people benefit from apple cider vinegar. I like your hub. I try the vinegar on a small pimple a few months ago. I was worry because it did not go away with anything.I tried. I was taking a few minutes the sun every morning. It was a combination of both the ray of the sun and my skin braking off. I added the vinegar on my clean face. The next day the pimple was gone. Thank you. You are a blessing. More blessing to you. Hi Pstraubie48, ACV is widely used in age groups. So, yes, people in their 60s and 70s have also known to have benefited from ACV. sounds like something that I will pass on to others...Is this something a lady in her sixties would benefit from too? i always love to read your articles i thinks it's really good for everyone thanks much !! !